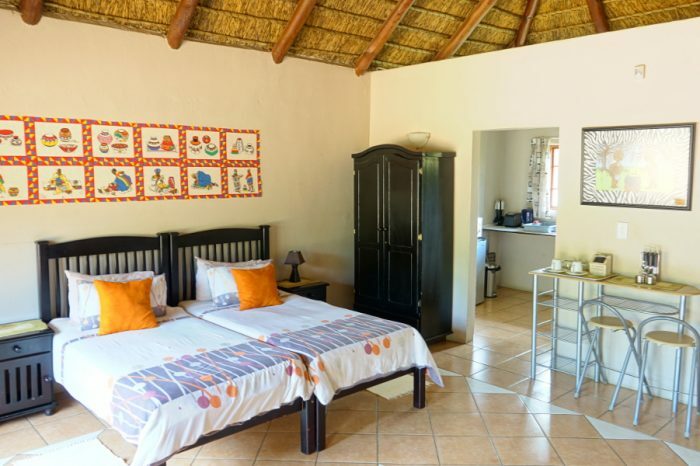 Five self-catering chalets, sleeping 2 each and two family units sleeping 4 each, 4 star graded. This room is on first floor of the “water tower”, with its own private staircase and entrance. Bachelor pad layout with extra-length twin beds; comfortable couch. Sliding door opens onto under cover private patio with built in braai and patio furniture. Spacious full en-suite bathroom with one-way glazing. 3-meter-long wooden worktop with sockets for charging cell phones/laptops. Fully equipped kitchen with gas stove+ oven; microwave and double door fridge/freezer. Breakfast nook with stack window offering view of the indigenous garden and the surrounding bushveld. On ground floor of the “water tower”. Same layout and facilities as Unit 1 (on first floor) but with private entrance and under cover patio with braai and patio furniture. Freestanding units with bachelor pad layout, extra-length twin beds. Comfortable couch. 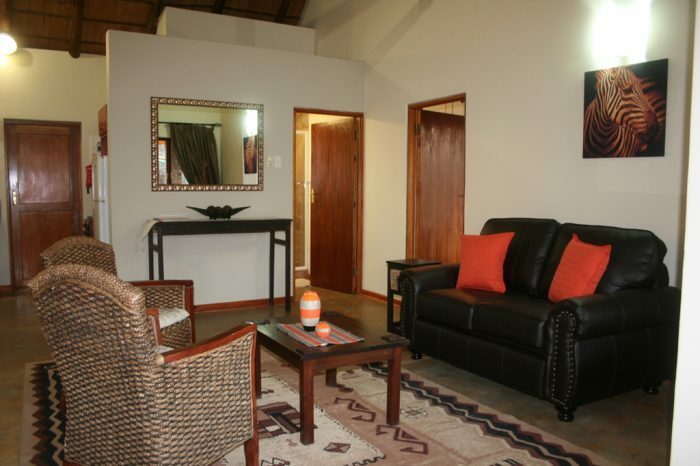 Each unit with fully equipped kitchen; spacious full en-suite bathroom; breakfast nook with tea/coffee and kettle; ample crockery and cutlery for 4 people. A 3-meter-long wooden top working station with sockets for charging cell phones/laptops. Private patio’s with built-in braai and patio furniture. Two Family units, sleeping 4 each. 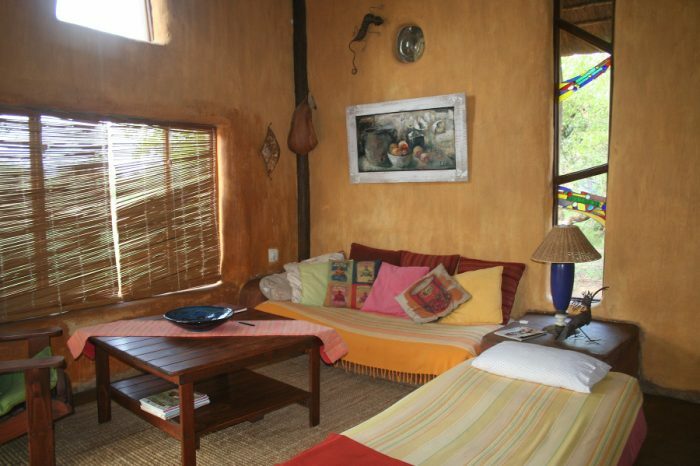 Equipped kitchen, indoor and outdoor cooking facilities, luxury bathrooms, shower, outside shower.